The XDP Composite Drive can withstand the rigors — most notably corrosion — of the saltwater fishing environment. 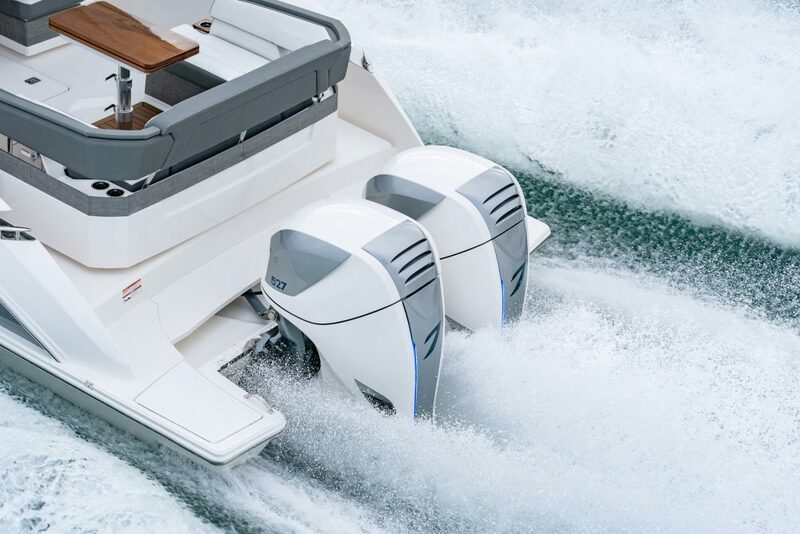 MIAMI — The long-awaited Volvo Penta composite stern drive debuted February 15 before members of the marine press at the Miami International Boat Show. Called the XDP Composite Drive and targeted exclusively at the saltwater fishing market, the unit is designed to be paired with Volvo Penta's Ocean Series of electronically fuel-injected, multi-port four-stroke engines. 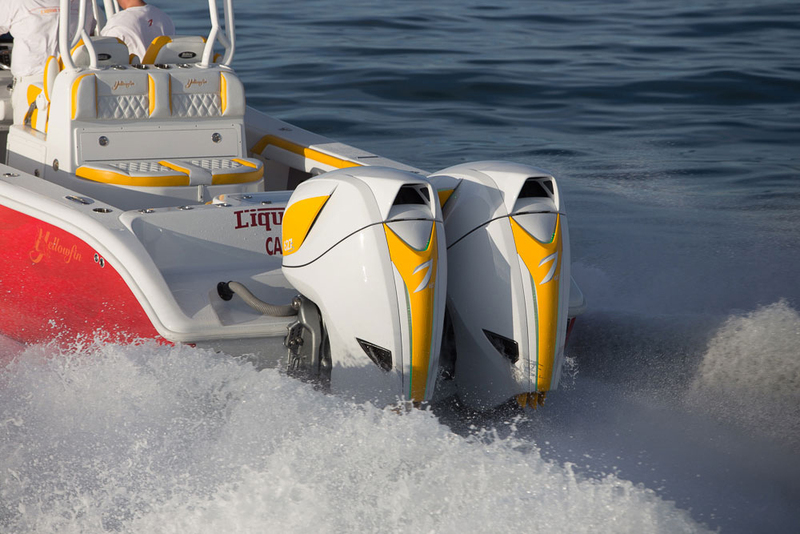 Ocean Series motors range from 225 horsepower to 320 horsepower. 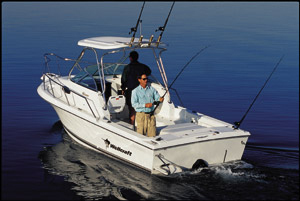 With an XDP unit and an Ocean Series engine rather than an outboard, transom space is free and uncluttered for fishing. The twin-propeller drive (the DP designation stands for DuoProp) features a composite housing that reportedly is impervious to corrosion, unlike its metal-built counterparts. 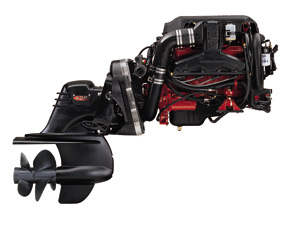 (Volvo also builds metal outdrives for the recreational powerboat market, as does Mercury Marine.) 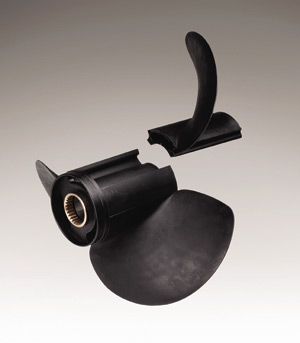 Metal outdrives, which cannot be trimmed completely "dry" when a boat is in the water, are susceptible to corrosion. 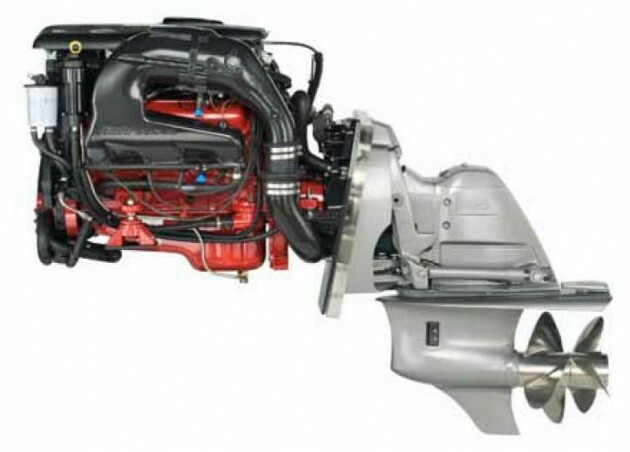 Outboard engines, on the other hand, can be tilted completely out of the water, so they have been the overwhelmingly popular power choice for saltwater anglers, whose boats spend extended periods in saltwater. 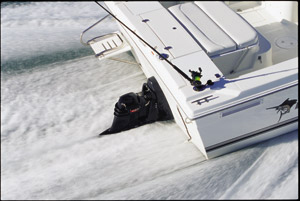 However, because of their height outboards effectively render a boat's transom — a prime angling area — useless for fishing. A range of Ocean Series motors from 225 horsepower to 320 horsepower are designed to be used with the XDP drive. Several intriguing features have been included in the durable XDP Composite Drive. The lower unit of the drive has a hydrodynamic profile that reportedly reduces drag by 10 percent. 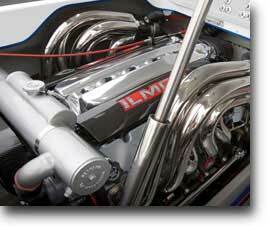 That should improve performance and fuel efficiency, while reducing wear and tear on the unit. The trim cylinder is located under the drive, which, according to the manufacturer, reduces spray and also improves overall hydrodynamics. Blades for the X-Series Composite DuoProp propellers are replaceable. To compliment the XDP drive, Volvo Penta also released its X-Series Composite DuoProp propellers with replaceable blades. For those who prefer stainless-steel propellers, the XDP unit also can accommodate several of the company's stainless prop sets. 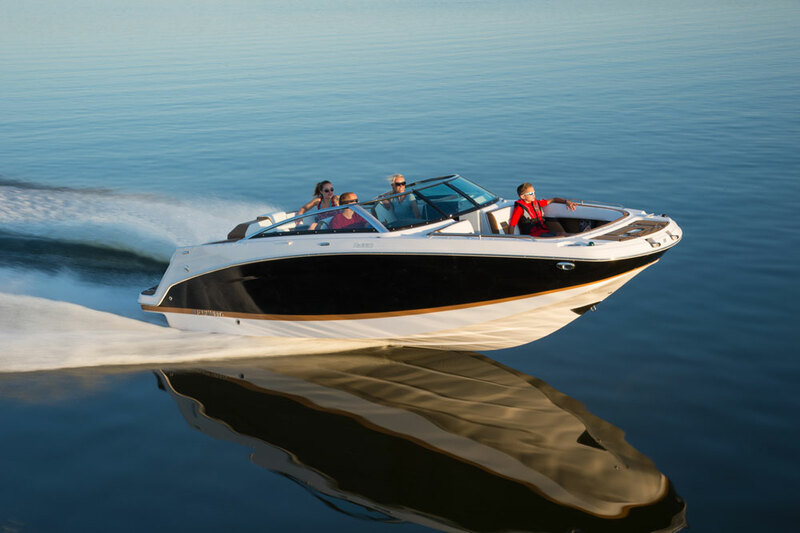 During the Miami event, the XDP Composite Drive received an Innovation Award in the Engine/Propulsion category from Boating Writers International and the National Marine Manufacturers Association. 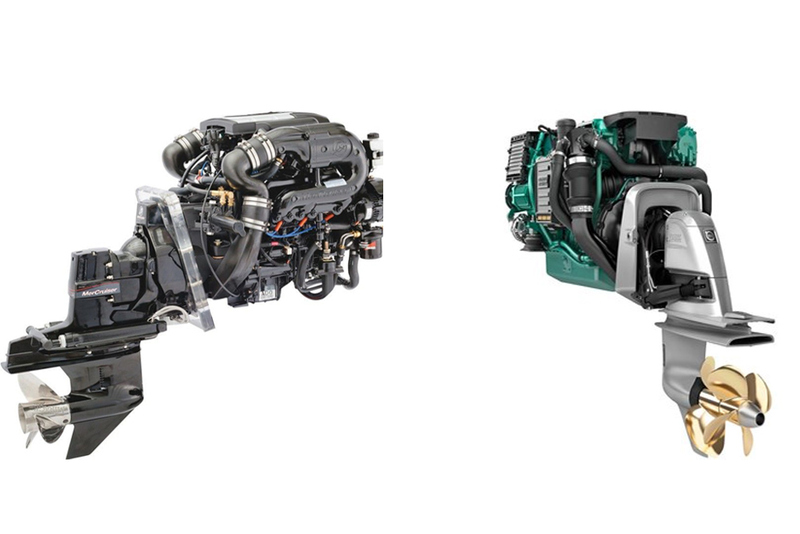 Four Winns HD220: Outboard or Stern Drive?